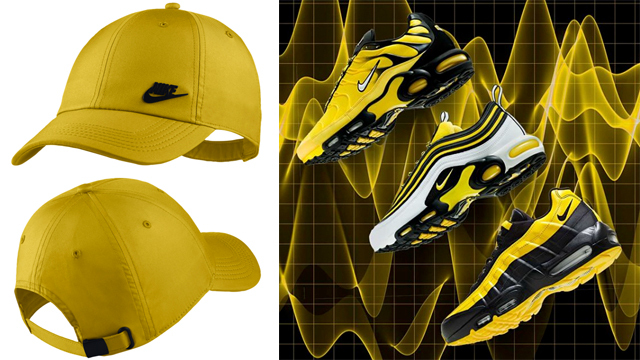 Perfect for pairing up with the Nike Air Max “Frequency” Sneaker Pack is this yellow and black Nike H86 Metal Futura Cap to top off the kicks. 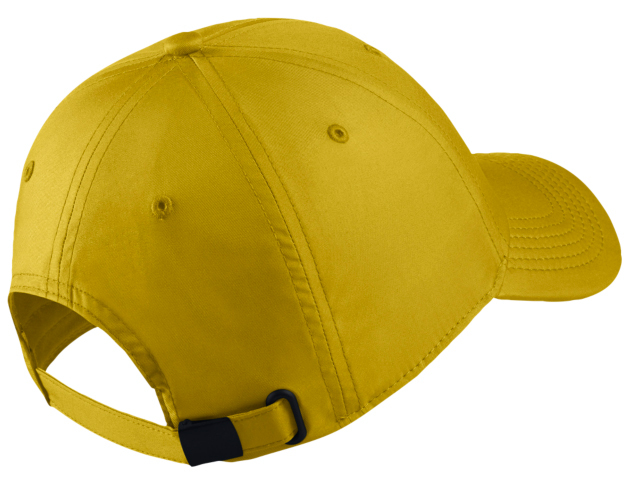 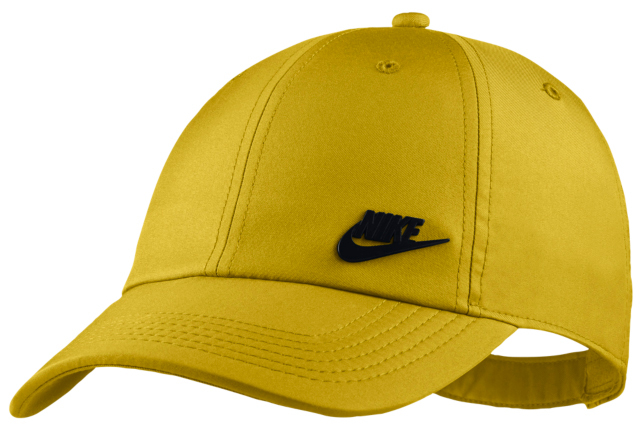 Covered in a bright yellow shade to match the bumblebee colored retro running shoes, the Nike H86 Metal Futura Cap features a classic fit with moisture-wicking Aerobill technology, plus adjustable back strap closure for a personalized fit. 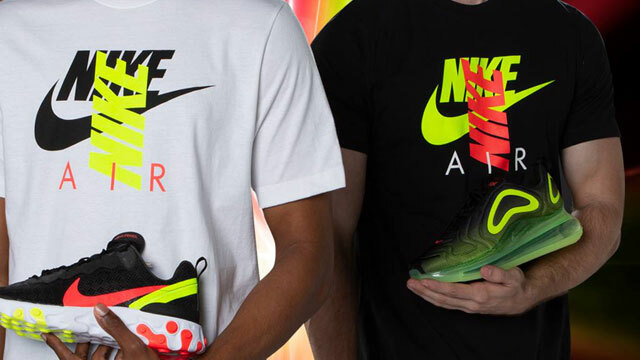 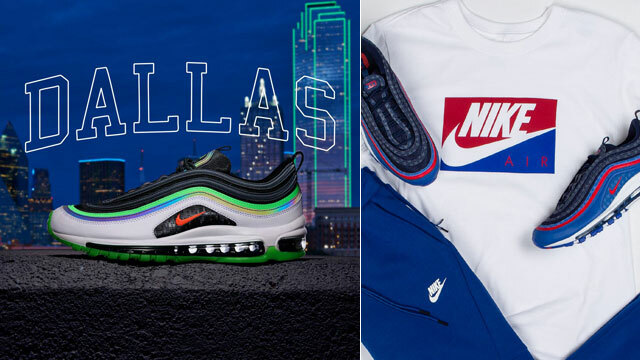 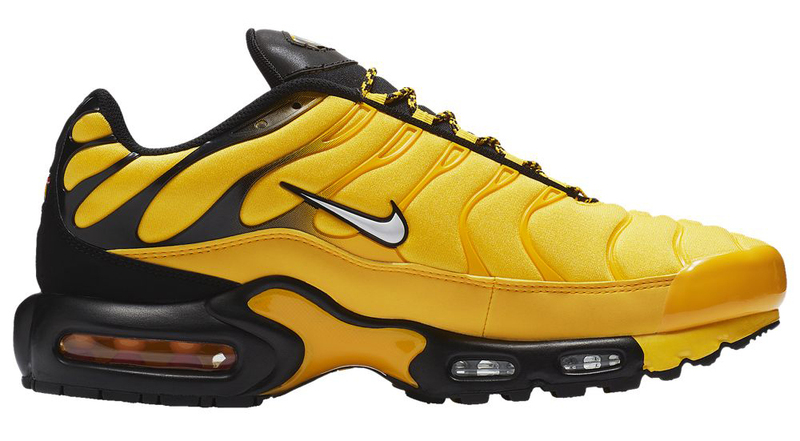 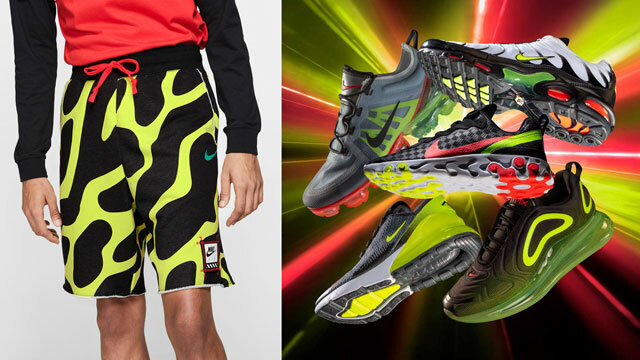 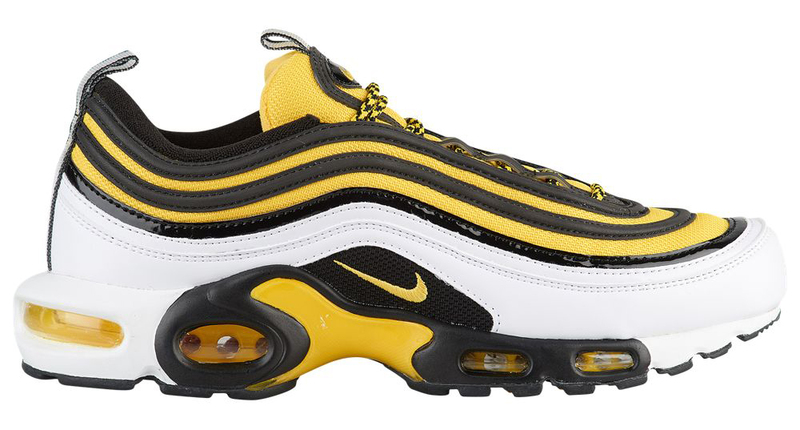 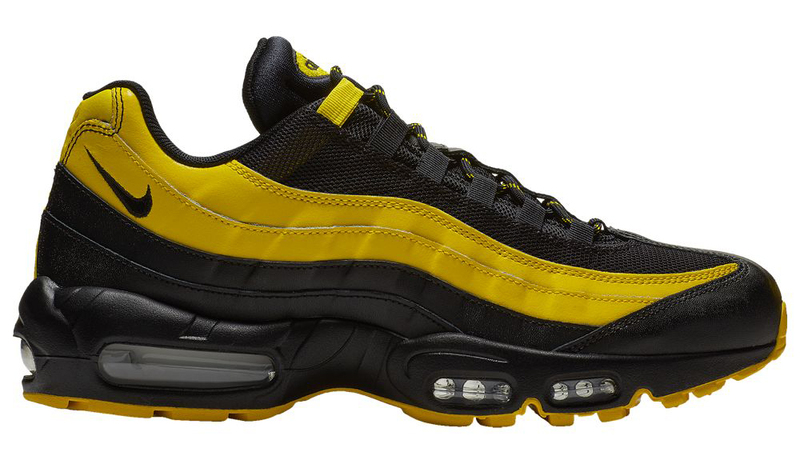 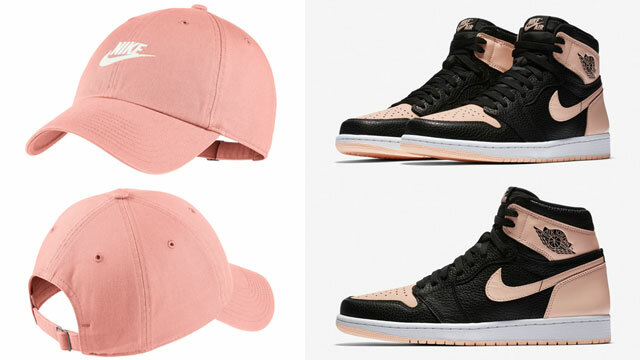 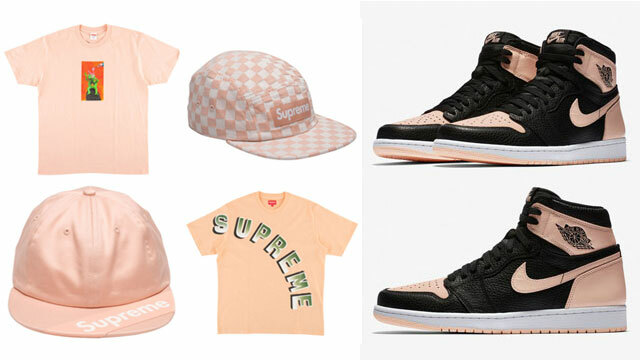 You can lace up the Nike Air Max 95, Nike Air Max Plus and Nike Air Max Plus / 97 “Frequency” sneakers, along with the Nike hat to match below.